SAVE ON YOUR NEXT BLURB BOOK! CHECK OUT BLURB’S LATEST COUPONS & DEALS HERE! I mentioned earlier that I decided to try Blurb’s ProLine papers for a special photo book I made for Mother’s Day and because I wanted it to be special it took me longer than I anticipated to gather all the photos I wanted to use, and yes, it ended up being late, but my mom still loved it. Like many of you, I couldn’t decide which ProLine paper to try. There are two choices: ProLine Uncoated and ProLine Pearl Photo. 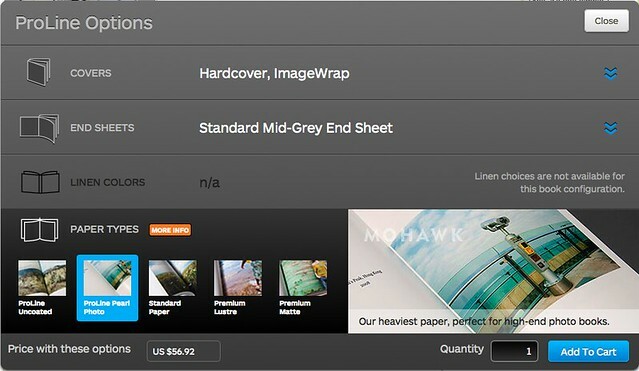 Pricing for Blurb’s ProLine Uncoated photo book. Choosing Blurb’s ProLine Pearl Photo upgrade costs a bit more than the ProLine Uncoated. So, which to choose? I decided to use the method I normally use when I go shoe shopping – when in doubt, buy both! I intended to keep one book for myself and let my mother pick which one she preferred, so win-win situation either way, plus there was no other way to do it for review purposes except to go for it. Blurb’s photo books are also very affordable compared to other photo book companies, so ordering two doesn’t break the bank. 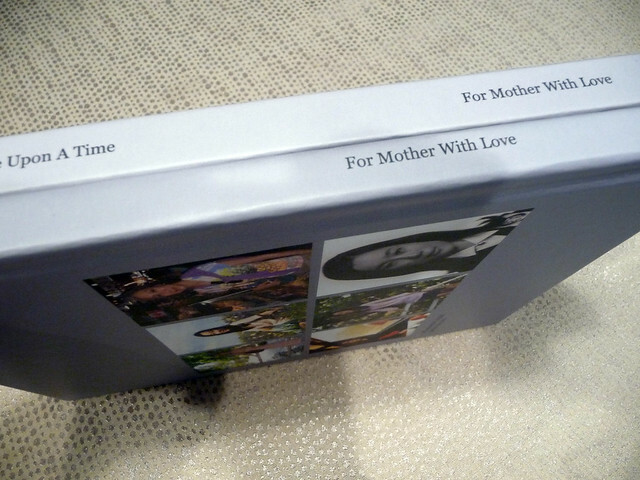 Read on to find out which book PhotoBookGirl’s Mom picked! Upgrading to the new ProLine endpapers will add an additional $3.00 per book. Prices and specs are accurate as of November 2016 in USD and does not include shipping or taxes if applicable. Please confirm book costs with Blurb before checkout. For more details on pricing for other size books check out Blurb’s pricing page. The books are identical on the outside. You can customize your Blurb cover and spine and what’s great is that you can use any font you have on your computer. Here I used Century Gothic – one of my favorites and Dartangnon (I’m on a Mac b/t/w). With Blurb’s free BookSmart software, you can fully customize the interior layouts as well by toggling between the “Editing layout” mode and the standard layout mode. If you want to make an easy book, you can use Blurb’s ready-made templates or Blurb’s auto-placement tool which will automatically populate your book with the photos you’ve uploaded. I personally like being able to alter the templates to suit my layout. The bonus is that I can save the templates under “My Page Layouts” and reuse them for later books. If you’re new to Blurb’s software, check out my step-by-step tutorial on how to make customizable layouts in Blurb. Additionally, Blurb has recently introduced new endsheet options. I decided to go with the standard endsheet in grey (before they only offered white.) Choosing one of the Pro options will add $3.00 to the cost of your book. I chose the default “Standard Mid-Grey” endsheet which doesn’t cost extra – other colors are available for an extra charge of $3.00. Blurb logo on the title page. Blurb’s logo on the final page before the endpage. Both papers are high quality papers and therefore have a more substantial feel to them than Blurb’s standard paper and Blurb’s Premium papers. The paper feels thicker and there’s less bleed through (being able to see the image that’s printed on the reverse). I ordered the Premium upgrade two years back before there were two premium options (now premium lustre and premium matte are available). I also managed to find a Blurb book printed on standard paper for purposes of this review which was graciously lent to me by my friend CL! (Thanks!) So, I can give a more thorough comparison. Below are some photos of the two ProLine books and a comparison of the finishes. The uncoated one is matte with an eggshell finish, and the pearl one has a slight gloss to it. The papers are very different in texture, but there’s no right or wrong necessarily – just preference. I found that colors were slightly more intense with the pearl than with the uncoated. The pearl is on the left and the uncoated is on the right. Similarly, blacks printed were deeper on the pearl than on the uncoated and the contrast was slightly higher than on the uncoated. 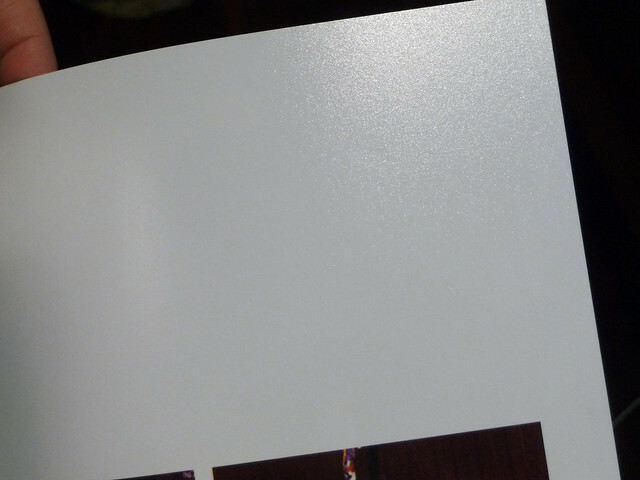 However, because of the lesser contrast, subtle details came through slightly better on the uncoated. It’s very hard to tell here, but I know you all like thorough reviews so for whatever it’s worth, I noticed a slight difference. The pearl paper is on top. Blacks print out richer with the pearl paper. The pearl paper is on top. Notice how the contrast is greater and the blacks are deeper on the top image. You see a little more detail in the lower photo however in the folds of the skirt and coat. Pearl paper is on the right – the sheen to the paper is evident at the bottom right. Bleedthrough refers to the ability to see the image that’s on the reverse side of the page. Excessive bleedthrough is obviously not desirable as you don’t want to be distracted by another photo. You would expect that a thicker paper (which the ProLine papers are) would have less bleedthrough than the standard or premium papers and I found very little to no bleedthrough on the ProLine papers. This is where comparing the ProLine to Blurb’s standard paper and premium paper is helpful. 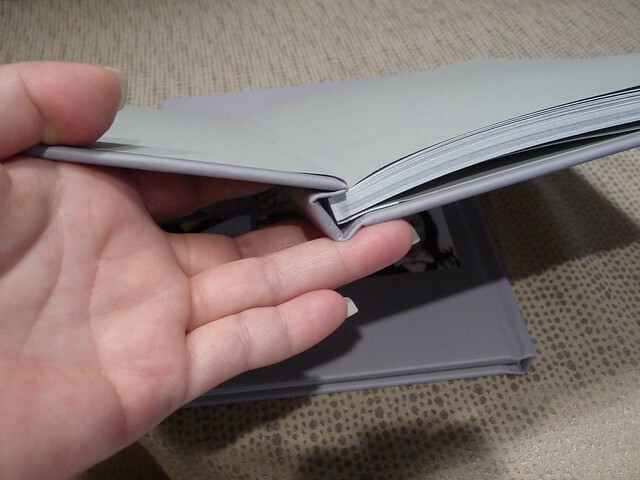 Here are some photos of my friend’s standard book printed in 2006. I don’t even know if upgraded paper was even an option at that time. Also making for a nice comparison, this book has a customizable dust jacket in contrast to the ImageWrap books I normally print with Blurb. Although I didn’t take a photo of it, the hardcover book is a plain black linen and there’s no titling on the inside spine. 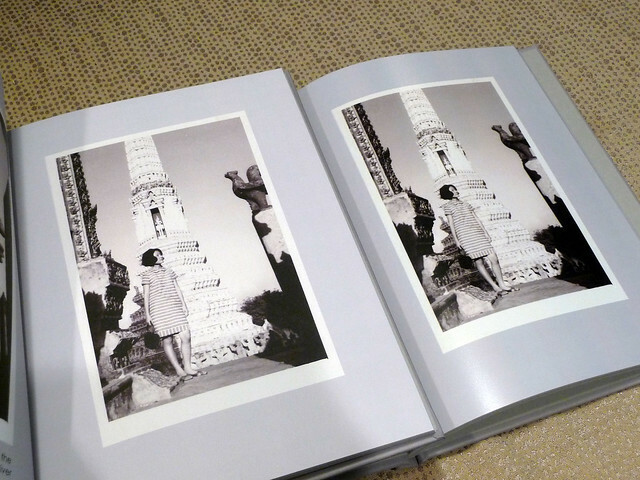 The dust jacket is printed on a glossy medium weight paper. Nice perspective shot of the Eiffel Tower! The spine can be customized with a title. The standard paper is 80 pounds in weight and is therefore less heavy and less opaque than the upgraded papers. There’s nothing wrong with standard paper, it depends on the nature of your project and your budget, but you should expect more bleedthrough. If your Blurb book exceeds 160 240 pages, then standard paper is your only option due to how the book is bound. Thicker papers put more strain on the binding. Bleedthrough is evident with the standard paper. 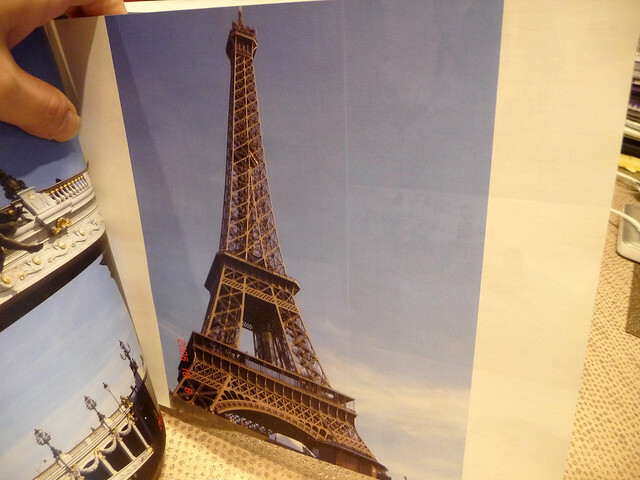 With the standard paper, you can see some of the reverse image show through. Bleedthrough can be more evident when choosing a white or light background. For comparative purposes, this page is laying flat – on the prior images, I held the page slightly forward, which is obviously going to show more bleedthrough than when the paper is laying flat. Please ignore the shadow of me taking the photo at the bottom. This is an image from my Blurb wedding book. At the time I ordered in 2009, there was only one premium option available. As you can see, I didn’t have any bleedthrough with this premium upgrade. In this book, most of my backgrounds were black or of another image, so I don’t know that I would get much bleedthrough anyway. I was pleased with this upgraded paper and I still think it’s a good choice. Going from this upgraded paper to the even more upgraded ProLine for my 80-page 7×7 hardcover ImageWrap book would cost about $10.00 more (not much dollar-wise, but it does reflect a 30% increase in price) – so if your budget is tight, the mid level upgrade is still very nice and and I wouldn’t be disappointed with the quality. Bleedthrough is hardly visible with this upgraded ProLine Uncoated paper. It isn’t until I lifted the page slightly do you see any bleedthrough at all – though slight. As would be expected, there is no bleedthrough with the ProLine Pearl paper. It’s 140 pounds – way thicker and heavier than Blurb’s other papers. Even lifting the paper up reveals no bleedthrough with the Pearl paper. You also see a good shot of the sheen of the finish here as well. So, I don’t know what else to say about Blurb’s new papers! I think I covered it in classic ad nauseam PhotoBookGirl style. The only other thing I can do is invite you over to see for yourself (just joking…) or order Blurb’s swatch kit for $7.95. You’ll get all the paper samples, endpapers and linen cover samples in the kit. You will also receive a credit in that amount to put towards your future order, so there’s no risk, unless you don’t end up ordering a book with them. There’s no shipping fee (I’m in the U.S. so I don’t know if international charges will apply.) For those ordering a special event book, or for large orders, it’s a good idea to check out the goods first! If price were not a consideration, I prefer the ProLine Pearl over the ProLine Uncoated, but I could see applications where the uncoated would make for a beautiful book. Perhaps if you were going for a more classic look, or were printing a portfolio the texture of the uncoated paper can enhance your project. The Pearl is more modern in my opinion. Check out this page for my past Blurb reviews. I do have a Blurb Premium Lustre book on its way, so if I feel there’s anything to add, I’ll do another post. Also on the horizon is a post on how to upload a PDF to Blurb, a Q&A on my pro photographer friend’s experience selling a book on Blurb and review on Blurb’s softcover photo books so stay tuned! I’d love to hear about your experience with Blurb or any other questions you may have – please post your questions/comments below! Note: I am an affiliate of Blurb, but did not receive any compensation for my review and was not asked to do this review by the company. My opinions are entirely my own. I purchased these books myself. I ordered my book yesterday. I went with the Pro Line Uncoated Paper. You were so smart to order both! I was going to order 2 books, but Blurb suggested I see how the first one is before I order another so I’ll wait. How long did Blurb take? I hear they’re fast. With the new Pro Papers I think this book may really be worth it. I ordered the Image Wrap and the regular grey paper as well. Thanks so much for the detail…darker blacks but more contrast (for better or for worse). I was going to order the sample of papers but it said I couldn’t order with a book, so will try later. The Groupon worked great, and I have one more, YEAH! What else. 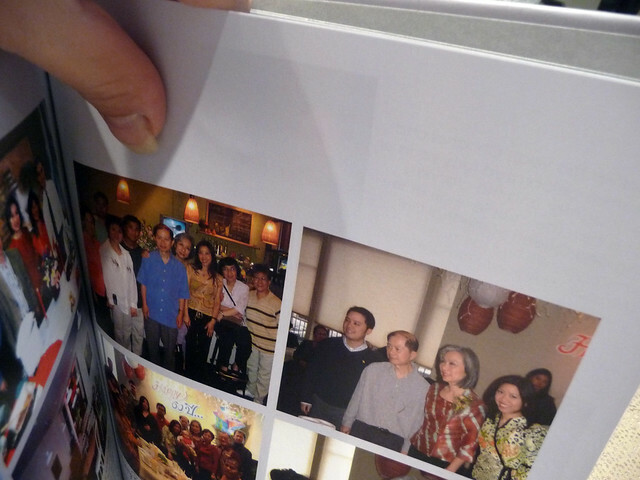 LOVE that you made a book for your mother! It looks wonderful, she is so lucky to get it, and so glad you have one for you too!!!!! Can’t wait to get mine, and thank you SO MUCH for all the info!!! Never too much!!! I ordered it on 5/5, it shipped on 5/10 and it was delivered on 5/16, so it took less only 11 days which isn’t bad. Hope you’ll report back about how your book comes out! Is the ProLine Pearl more $$ (than the ProLine uncoated)? I thought it was the same, ie both ProLine, but maybe not…lost track with all the options when I was looking online. The Pearl is more expensive. If you check out my chart you’ll see the price comparisons. The two mid-range papers are the same price (premium papers). I love how you changed the title page, took away all that extra print, and added a photo! I didn’t realize you could do that, but went back to the book software after I saw yours and realize you can! The customization is great. Also, I didn’t change the type, I couldn’t deal with one more thing, I was focused on photos and layouts, but next time I think I’ll look into it. Hi! I just received my Blurb photobook last week. 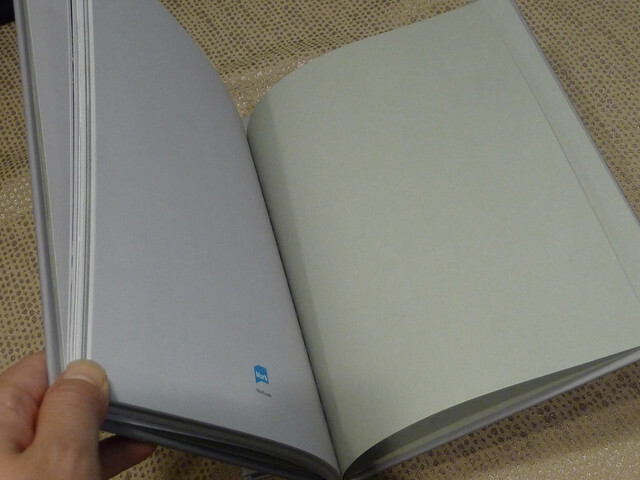 It’s 160 pages and I chose the ProLine uncoated paper with the gray end sheets. It is absolutely gorgeous! I did a Shutterfly book last year and the quality of this one and the quality of that one aren’t even in the same league. The colors in my Blurb book are very vivid -probably even more vivid than the colors on my computer screen. I also really like the finish on the cover. I love the matte finish. I just couldn’t be more pleased with the Blurb book! I do have two questions which are kind of off-topic. I purchased a Groupon a couple of weeks ago. Can I combine that with other offers – like 15% off? And, I know the Groupon has an expiration date, but I think I read somewhere that that can just be rollover into a coupon (or something like that) if you don’t use it by the expiration date. Did I just dream that up?! Hi Gayle – thanks for posting your mini-review – it’s really helpful for readers to get other perspectives too so I appreciate it. To answer your question, unfortunately you can’t combine Blurb Groupon deals with other offers. What Blurb did with the last one that expired in March was to give a three month grace period, but the Groupon was only valid for the amount you paid for the Groupon. So, if the Groupon was the pay $20 to get $45, if you didn’t order by the Groupon deadline, you only got $20 worth of credit (instead of the original $45 value). I don’t know if that same policy will occur again, but I suggest contacting Blurb to be sure before your Groupon expires. Can’t wait. Just checked back in here…my book shipped out and is due in 6 days! Yeah! Gayle loved to hear the comment you were so thrilled with it! I tried to add the 15 or 20% to the Groupon, but you can only use one thing. You have to put the Groupon code in where you would put the % off code, so that’s it. I tried! :-). Also I saw the same thing, the Groupon goes to your account for the amount purchased. Don’t know how long you get tho, seems that there is no limit, but not sure. I know, it’s SO HARD to get these books out. Really hope to get faster with the whole process! 160 pages, WOW! This is great! I would love to hear anything regarding the different companies’ selling programs or print fulfillment programs. They vary a lot, and I know that some are more favorable to either side or the other… it could get a little hard-hitting but you might enjoy the challenge, PBG! Also I am sure I speak for a lot of people when I say you are one of the rare sources I trust. The book came out great! Beautiful cover. They managed to put info on the spine too, even tho it was under 60 or 80 pages. The paper was really nice, matt and thick! The printing was great. Almost a little to muted with the uncoated, not so much punch, but I like it! The teacher loved it. She asked where I got it made, she had made a/some books and the paper/print was shiny. She really like the way this one looked and how thick the paper was. I am going to order the other one for us. Very inspired! Now I think I have the hang of it and hope to do more!!!! So glad you like your book! 🙂 Thanks for updating everyone – it’s helpful to get more feedback for everyone’s benefit! Nice little review on the proline. I have been watching what they have been coming out with and have used them in the past both for hardcover and softcover books. I was at a conference this weekend and was able to pick up a swatch kit from them and also chatted with them about a few aspects. I had read they are trying to add custom foil stamping in the future but at this point they don’t know when since it is truly a custom thing and the cost and time it takes for them to set it up reflect that. So just for others if they have any questions on things, i’ll add my 2 cents, i am a designer and deal with this kind of stuff all the time. The uncoated paper is great. It isn’t just “proline uncoated” it is actually Mohakwk Superfine ultra white, which is a very nice paper. I use it for my clients. But with any uncoated paper the colors will ALWAYS be duller. This is because the ink actually soaks into the paper some where as with coated it doesn’t do that. Even with that I will be using it in my next book. Any of their coated papers when viewed at an angle still have a marbled look to the sheen. And pearl really just isn’t my thing. Quality control. This is where I have had problems with blurb. I created a book about a recent trip to Aruba and ordered 2, one for myself and one for my inlaws. You can see a mockup shot here (http://joshua-morey.com/mi-stima-aruba/) which is NOT the real book, I made that, it was not that thick at all. You can see an actual photo of the cover here (http://www.behance.net/joshuamorey/frame/676744). SO back to quality. What do you see wrong? It isn’t centered at all. Yes a little off is fine, i understand margin or error, but that isn’t even close. Both of the first 2 were like that, and the other one had roller marks on the interior pages. So i contacted them. They made me 2 more. At this point there was something wrong as well i don’t remember at this point what it was (it might have been way off center again). Contacted them again. This time they wanted photos of their mistakes. Sent those off. So they reprinted again. One of them was nicely centered and the color was good. The other was nicely centered and the color looked very washed out. At this point i was pretty much tired of the whole thing and settled on that since they were at least centered and gave away the nice one. So mine is washed out. My next book shall be a promo piece of my work. 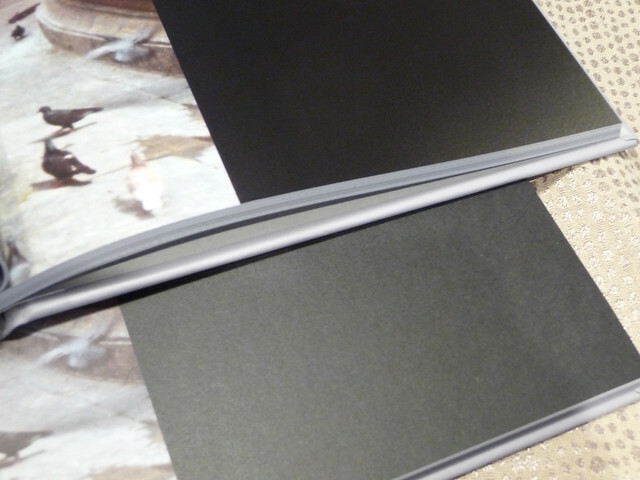 Charcoal linen cover, charcoal or med gray end papers, uncoated paper, 7×7 (msy favorite size and the only one I use). We’ll see how it goes this time. Also, last thing. the upgrade for the blurb logo is ridiculous and should not be that price. First of all, you don’t need it on the title page, you can remove it from there the only place it HAS to go is the end page. So what I do is leave the book with the right amount of pages so the page with the logo is blank on the other side, take a very sharp xacto knife, and cut it out. Free no logo upgrade. BAM. I’ve done @ 50 books with blurb over the last few years. I find their quality to be good but inconsistent. Quality control? Not much of it. Their customer service isn’t. Usually, they assume you are completely ignorant of the process and attempt to blow you off. It’s only when you refuse to be blown off that they start to pay attention. Then arrogance sets in. Bottom line: they are pricey but reasonably good. But if you have a problem, know that you’ll need to push to get them to fix it. I will shop other photobook printers before I’d use them again. I see I lot of photobook reviews here. I have seen many photobooks but Creative Memories makes the best. 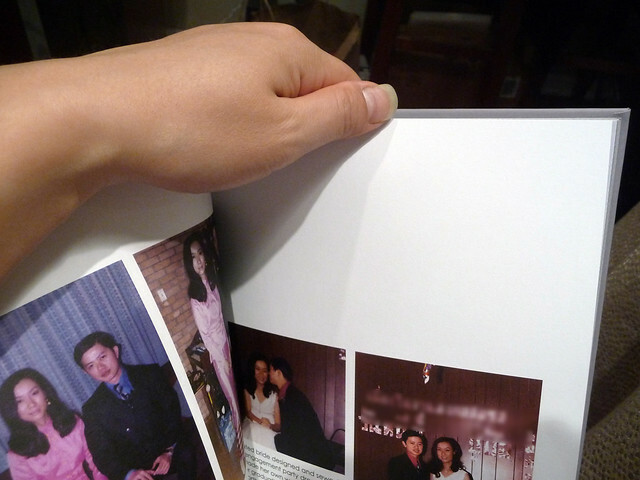 You design the book just the way you want it, completely customized by you. The quality is great and now they make a premium line withlie flay pages. You need to order one and then review. 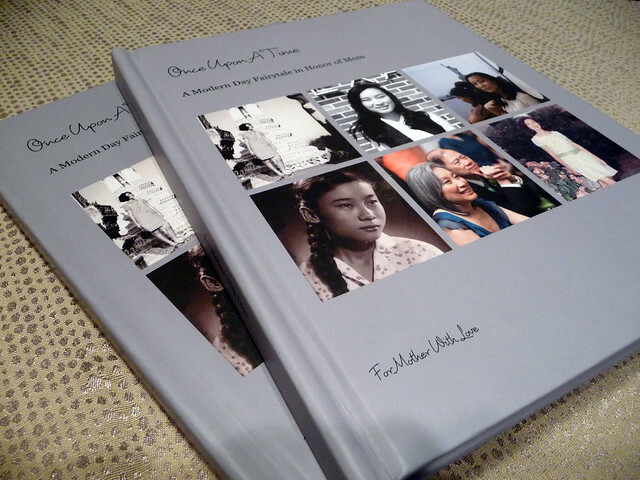 I ordered my first Blurb photo book last month. 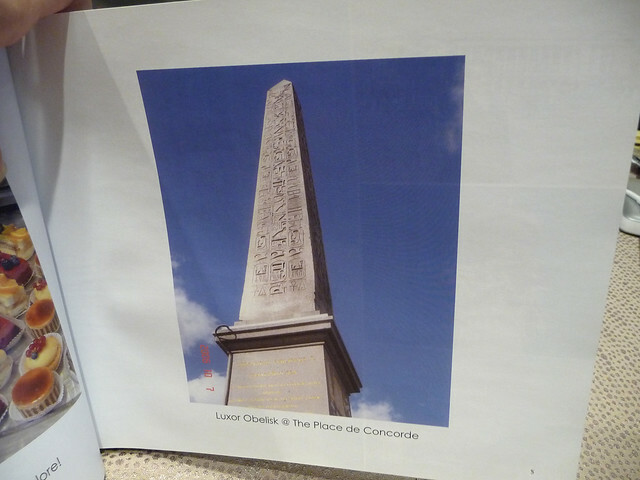 Unfortunately there were double print pages which made the book unacceptable. I was a little skeptical when I realized there was no help phone line. So I went to Blurb’s help website, described my problem, and took a couple of pictures of the book to attach to the complaint. Within minutes I received a scripted confirmation email and within an hour I received an email from a named support person informing me a new book had been ordered and I would be receiving it within 3-5 days. I must say, even though I didn’t speak with a person, I was VERY satisfied with the customer support I received. And the quality of the second book, in my unprofessional opinion, was excellent! Will I order from Blurb again? Absolutely! I like the chat and email myself – as long as I get a prompt response, I don’t mind not having to talk to someone. I have had a couple issues recently with Blurb’s printing, but they’ve reprinted very quickly so, like you, I’ve been okay with them. I think out of emailing, calling on the phone or chatting – I prefer chatting for a quick answer. Plus they have 24 hour chat which is great! I’ve ordered the swatch kit from Blurb and it’s just nice to see how the weight of the paper would feel and a idea of the image quality. I really like the weight of the Proline Pearl Photo, but I would agree that the blacks are richer on this paper but does not offer as much contrast of blacks on the Proline Uncoated. I was thinking of going with the Premium Matte because it seems like a good balance between the two Proline papers, deep blacks with contrast, and good color saturation. I guess it just depends on what type of images you have. First of all thank you so much for your very detailed review. I am checking out different compagnies where I can make my next photobook. Since I make my pages in Photoshop, I don’t mind about any software extra’s, but care much more about the paper quality. I’m from the Netherlands and a compagnie I used before prints on paper that is 0,16 mm thick. Can you give any indication on how thick Blurb’s Proline Pearl is? Cause I love their books but always found their standard paper to thin. Sorry I only have the poundage and gsm stats as you probably saw in the chart provided in the post. Perhaps the company can provide actual thickness – I don’t have any calipers for measurement. b/t/w here’s another post with a paper quality comparison that you may find of interest. 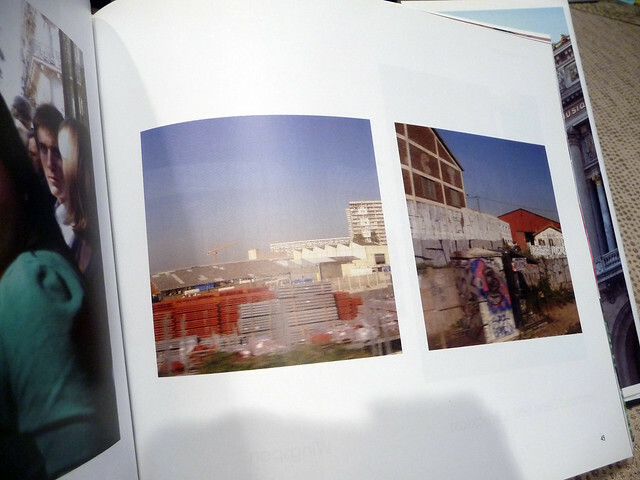 A couple of days ago I received a Blurb book printed on their proline matte paper. I find the colors completely washed out, no acceptable tone gradations at all – in fact if i’d print this at home even on a cheap $ 85 ink jet printer, I’d ask myself if i had used the wrong side of the photo paper! Or as a friend of mine observed: no punch to the colors at all! It was a 160 pages book, and supposed to help me evaluate the color consistency with Blurb for my next order. It was mostly nature photography, and blurb just doesn’t pick up any details. There are also faint dark ink like streaks running down the pages, and one page looks like it has been rained upon. And yes, after thumbing through the book only once (image wrap book) it didn’t quite close again, the cover just stayed up in the air! I guess you get what you paid for, there is no way around. Customer service was great though: I right away submitted a photo that showed the damage on this one page and a couple of hours later I was told that a new one would be shipping. (Great response time but I would have preferred doing a different book, since I already know that most subtleties won’t register) conclusion: Blurb can be used for a casual documentation of maybe your last vacation, but if you took some good shots and would like to see them in print, you are better off with other services like Pounds or Asuka. Of course you are in a different price categoy there, along with the quality. I still like Blurb and will find some use for their service. I noticed that the matte proline paper does give the photos a painterly effect. One could purposefully use that flaw (missing sharpness and contrast) and make a book with photos that would benefit from this painterly washed out effect. I’m pretty much decided that I’m going with Blurb for a book of my 365 photo project to be completed spring 2012. I want to order the swatch kit soon so I can start making design decisions, but is there a time limit on how soon you have to make a purchase to be able to apply the swatch kit price toward the book cost? which paper is best for a guestbook for signing in blurb? Hi – I found your review very helpful so thanks for posting. I am about to start making a book of pictures of my son from the past year (he’s three!) and I am torn between using Proline Pearl and Proline Uncoated. 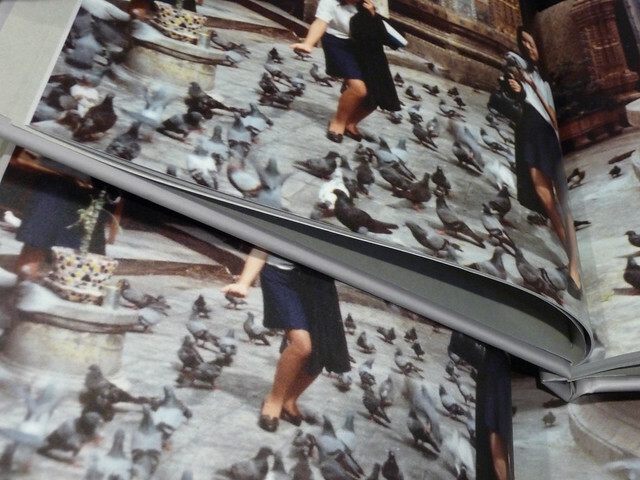 I have used Pearl before – for travel books on Cuba, where it worked brilliantly for the rich colours I wanted. However, my son’s book will be all about skintones and I am not sure whether Uncoated would work better (I have never used Uncoated.) I don’t want his skin to look too red or too saturated – he his half Caucasian and half Thai/Chinese so his skin is slightly dark but not very. In your experience of these two papers, which does a better job of reproducing accurate skintones? Many thanks for any help! First, let me say thanks from a long-time admirer. 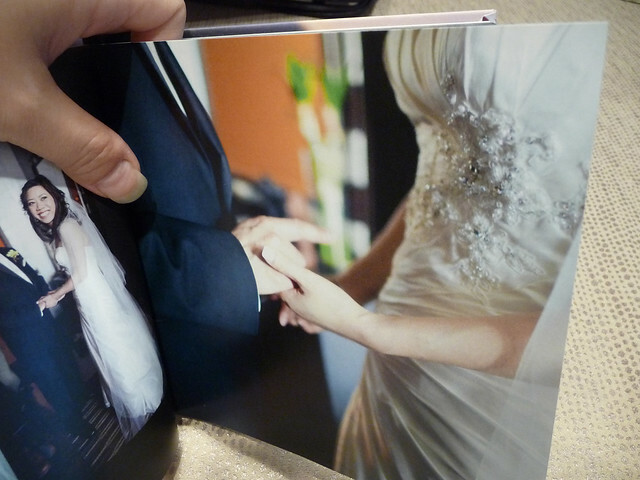 I’ve consulted your web site many times and its THE Must read site for the topic of Photobooks. I’ve used Blurb for all my photobooks to date, and I have a question regarding their papers that I don’t see on either their site or yours. One of the important issues to me is having archival paper for family projects that I hope to heirloom quality. The Blurb web site says (but you didn’t mention) that the ProLine papers are acid-free, and thus (I assume) archival quality paper. (true?) 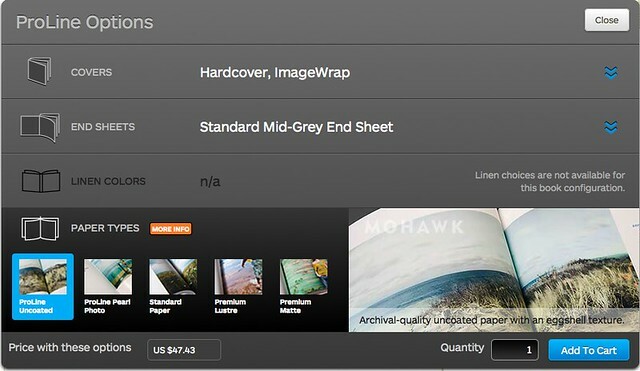 However, Its not clear to me whether the Premium Matte/Lustre papers are acid free/archival quality (My understanding is that “archival quality has a particular definition, as indicated here: http://inkjetstation.com/blog/what-is-archival-quality/ . I’d love to hear your views on this topic. Thanks again for the awesome work! You are performing a valuable service with this web site. I’m so glad you find it helpful. On Blurb’s site, the only paper they specifically mention as archival is the proline uncoated. I don’t know if searching the FAQs or the forums might turn up more info, but it may take a bit of digging or they can give more info if you contact the company directly. I wrote a bit about paper and longevity here: http://www.photobookgirl.com/blog/how-to-choose-the-best-paper-for-your-photo-book-part-2-of-2/ I have a link in that post to Wilhelm Imaging Research which is also mentioned in the link you supplied. 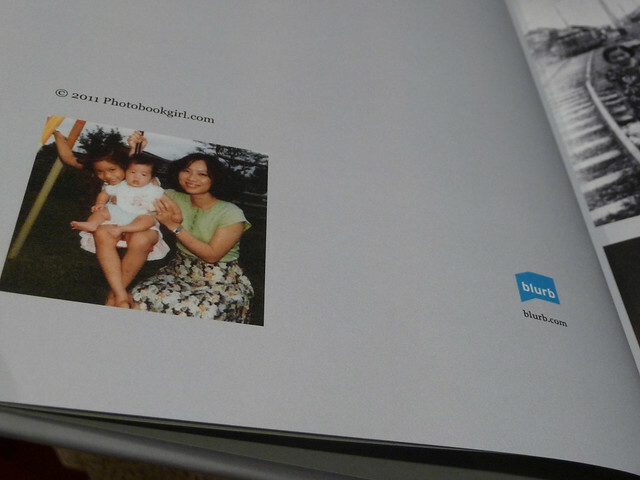 Blurb prints on HP Indigo printers. The posted permenance ratings are more than 100 to 200 years for albums, so I think that’s pretty good. I suppose with any media, be it CDs, DVDs, hard drives etc. – they will eventually become obsolete as technology advances, so having some printed medium is a good idea. What’s nice about making photo books is they can be reprinted (say in case of unfortunate flood or fire or in worst case – natural deterioration). While no one really wants to spend the money to reprint, if that’s the only option down the line (and by down the line according to the research we’re talking 100 to 200 years hopefully) then I think that I would have gotten my money’s worth and I (or actually future generations) would pay again to reprint. And who knows what kind of cool print technology will be around at that point, or if people will really have printed matter anymore! (Though I hope that photo books in some form will still be around). While image quality and permanence is important to me, I really don’t worry about it too much – I just go ahead and make my books and take reasonably good care of them. I’ve actually contemplated printing more than one copy of my books – as I hope to give some of the books to my son one day when he gets older and I’d like to keep one for myself. I don’t worry too much about how long they’ll last. As long as they last my lifetime (and hopefully the next generation), I can just hope for the best in the future beyond that. Hope that helps! 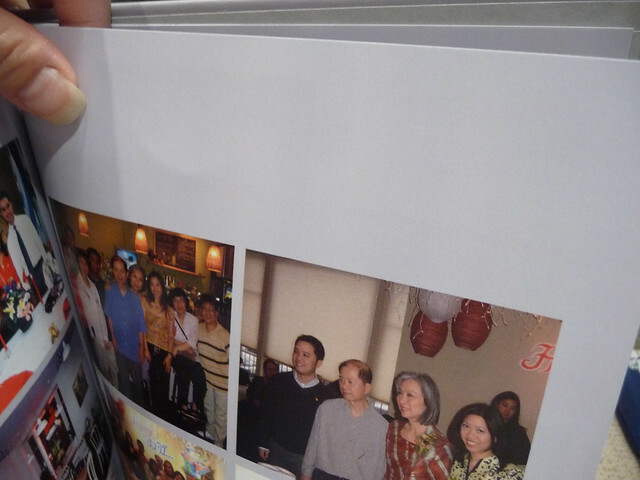 Did you ever receive your photobook in Premium Lustre? What do you think (in comparison to the Pearl)? I’m having a hard time deciding which paper to order for a book for my daughter (she is 2). Lots of face pictures of her … was thinking of the Premium Lustre vs. Pearl but keep getting hung up on the detail vs. the blacks in the pearl. I am in charge of a 5th grade graduation memory book for our 60 graduating students, the books will contain many pics from kindergarden through 5th grade as well as parents pages in the back (pay to get in to off set the cost of the book). last year they used shutterfly with 32 pages of students and quite a few more of the parent pages. I need shared sites for parents to download photo’s in different event. I also want it to be cost effective. I like a nice clean modern asthetic. which is the best company to use, considering, ease of use, quality of design and price for this project? I would take a look at Shutterfly or Mixbook – I know for sure with Mixbook you can allow parents to upload their own photos. I believe through Shutterfly you can start a share site that would allow parents to upload photos. Picaboo is also getting into yearbooks as well. Most companies will give a volume discount so I would look into that as well. Best of luck on your project! I would like to thank you for the so informative review, plus all other comments; I am finishing my first Blurb book and soon will have to decide which paper to use. Thanks, you are awesome! You’re welcome Fatima, good luck with your book! 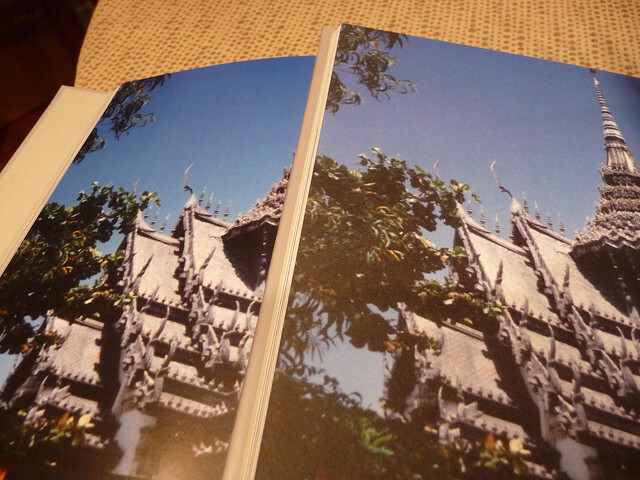 I have put together 2 photo books from Summer vacations, and printed one on Proline Pearl Photo, the other on Premium Lustre. The Proline paper is thicker/heavier, and I agree with your comments on potential bleed through. However, I couldn’t see any on either of my books, unless I held the page up to a light and then I could see what was on the other side of the page in both books. The print quality looks to me to be the same on both, and is, in my opinion, a little grainy. I was hoping for Photo quality on the Proline Pearl Photo, and it’s certainly not that, but it’s still pretty good. Note that I am UK based so potentially different paper suppliers, inks, etc. from those used in other locations. My books were printed in Holland, and took about 10 days to arrive. A note on on image wrap vs. flysheet – the flysheet tends to get more easily damaged (it’s only a sheet of paper after all), but allows for additional personalised content on the inside flaps of the sheet – e.g. a brief summary of the book, or an “about the author” section. And it’s cheaper! Finally, the swatch mentioned is also available in the UK, priced at £4.95 + VAT, postage free. What is the difference between Premium Lustre (Upgrade to Matte?) , Premium Matte and Pearl coated (This is almost like matte but with color ?) and Proline uncoated? Hi, it was a pleasure reading your reviews on the different types of paper. I am going to print a book using blurb but I am still deciding on the type of paper I should use. The photos that I am going to print are mostly in black and white and it’s mostly portraits so I hope that the paper would bring out the gradient and contrast well. It also contains subtle colours on the photos. I prefer more of a matte kind of finish but I am also alright with a shiny finish as long it brings out the colour. Sounds like the matte paper may work well for your project. 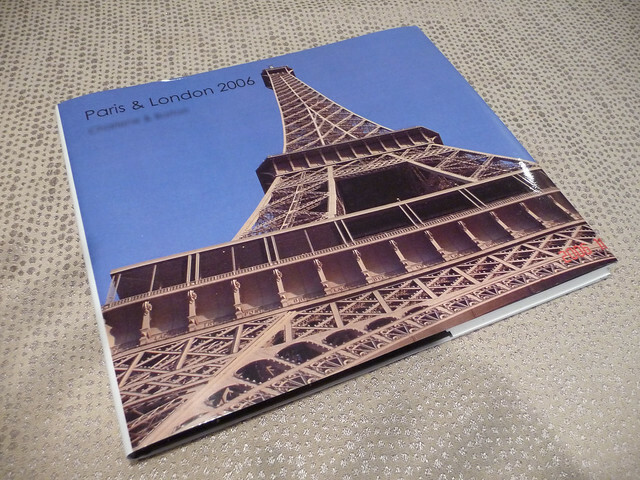 I ordered one photo book from Blurb Pro, and chose their Proline Pearl Photo paper. I liked everything about it except for the skin tones ~ they were too dark, and details on the faces were lost. Can you suggest an alternative? 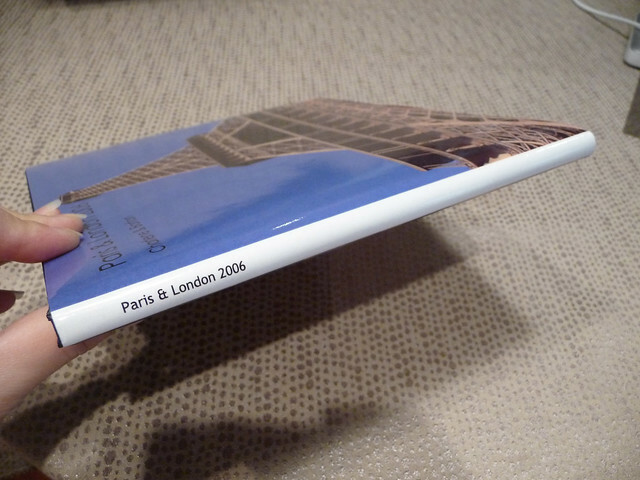 Also, does Blurb Pro offer lay flat books? Hi Linda, I’ve usually had good luck with the pearl paper. Did you try asking them for a reprint? Whenever the result is not what is expected I don’t hesitate to contact a company right away and ask for a reprint. Blurb doesn’t offer lay flat as far as I know. I’m glad you like my blog – thanks for commenting!